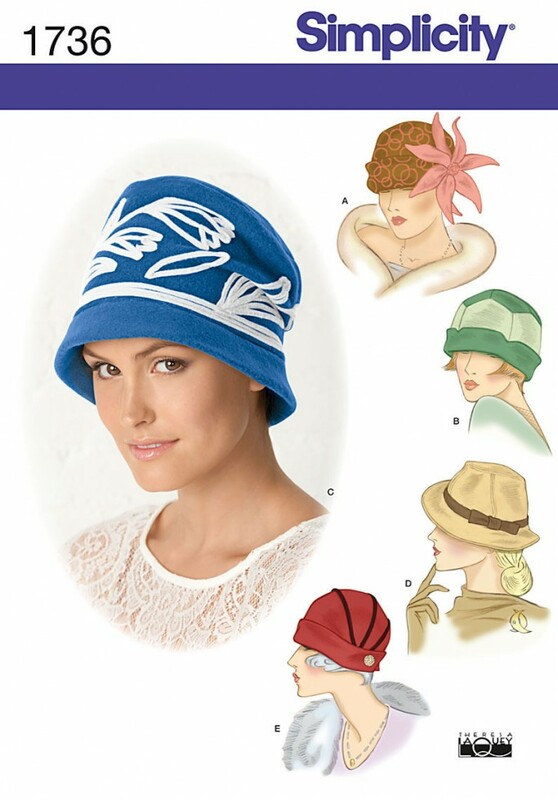 Misses vintage style hats in three sizes ? S(21inch), M(22inch), L(23inch). Simplicity sewing pattern. Andrea Schewe.